For any pet that may be in need of laser therapy, we strongly recommend Peak Pet Performance (919-783-7387) to treat your pet. Peak Pet Performance has experienced staff to provide your pets with laser technology for use in clinical applications. This treatment can help with pain management, wound healing, and reducing inflammation in your pets. Laser therapy is a non-invasive, non-surgical approach to many conditions. This treatment uses specific wavelengths of light on multiple parts of the body to help the body heal. Laser therapy is used to heal the body by stimulating tissue regeneration, increasing circulation and decreasing swelling. 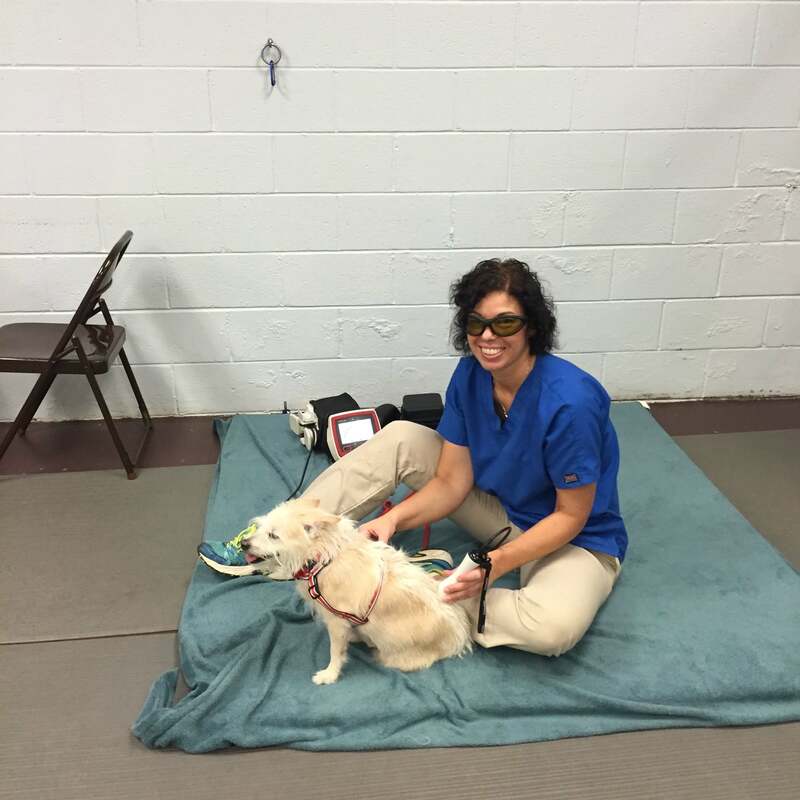 By using laser therapy, pets will have a reduction in pain while potentially shortening their healing time. Will My Pet Benefit from Laser Therapy? Will My Pet Feel Discomfort from Laser Therapy? Other than potentially feeling a little bit of warmth on or near the treatment area, your pet will not feel any pain from the laser. If you are interested in learning more about veterinary laser therapy, or want to schedule an appointment, contact our Glenwood location. Training Talk: Why Does My Dog Do That? We’ve been coming here for about seven years, and we feel like they’re our family. Ruby got very, very sick and had to have surgery. We get excellent care here, and also they hold your hand through some tough times. It’s really a wonderful place. My experiences with Care First Animal Hospital are ALWAYS SUPERIOR! The staff is exceptional and the medical care is superior! I adore the doctors and am so grateful for their loving care! All of your providers, from the greeting at the front desk all the way to the doctors, are so amazing. Everyone truly cares about my dog's health and well being. I wouldn't trust anyone else with our sweet little guy! Care First at Glenwood is the BEST! This practice is simply superb- caring & capable! My experience is consistently excellent. Every doctor & staff member I have met has always been top-notch! I consistently recommend Care First to my friends seeking veterinary care for their beloved animals. Dr. Riego is the best. It was late in the evening, and she promised she would call me with an update. She called on her way home. I always trust her to do what is best for my girls. I wouldn't go anywhere else. You guys always take such great care of my dogs, thanks SO much. I especially appreciate that you have always been able to fit Jessie into the schedule whenever her skin issues have acted up so much that she needed to be seen. Really enjoyed our experience with Dr. McConnell! Very professional and clearly knowledgeable. Cayman loves her! Will recommend to friends. Dr. McConnell and team are the best. They have always treated my dogs like family. I would recommend Care First at Tryon to any new pet owner or anyone looking for personalized care. © Care First Animal Hospital. All Rights Reserved.